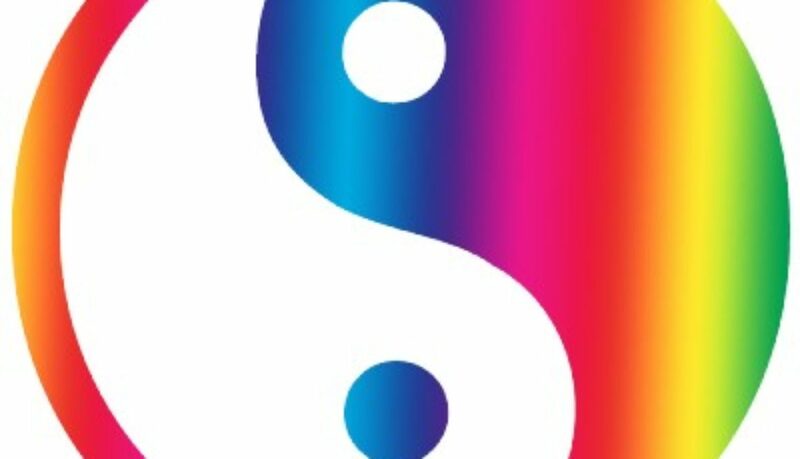 Several clients have asked me to set up Project Management solutions in SharePoint. I am, after all, “the SharePoint guy with PMP training”. I was saying to someone this morning, “SharePoint and Project management are both arcane arts to most people, so trying to combine the two is a treacherous undertaking”. That said, if we can do a good job of leveraging SharePoint to support Project Management, it’s very powerful. Here are some of my notes on the topic. Often we create Excel sheets or Word document to track project tasks, contacts, etc. Don’t forget SharePoint has standard Lists for Tasks, Calendars, Issues, and Contacts (see below). And Wikis are so easy to use once you get your head around them. Communication is critical to good Project Management. As such, the SharePoint contact list is worth stressing. 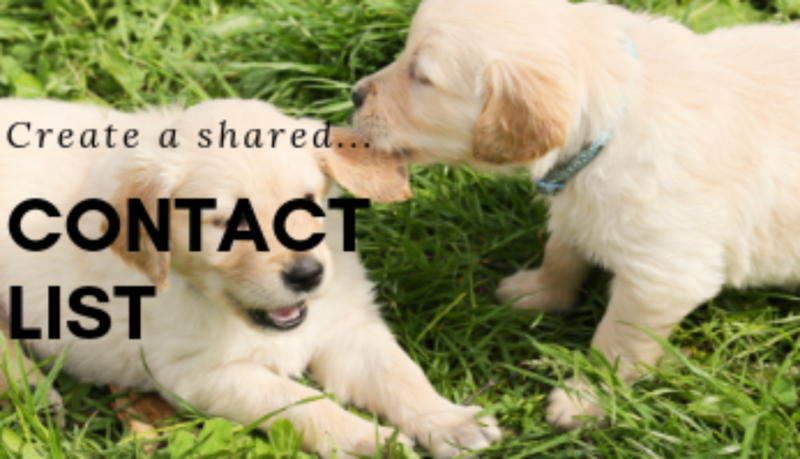 Allow people to update or create their own contact information, and use “Connect to Outlook” to allow team members to drag-n-drop shared contacts into the list using Outlook. Further to the above, I am a strong believer in standardization. Many PMs manage multiple projects. And often team members contribute to multiple projects. Even if these aren’t simultaneous, it’s sure nice if the project SharePoint site is familiar. I always create a Project Site Template subsite, and work with the PMs to include everything they might need – Lists, Libraries, Views, and home page that makes sense. This site is then “saved as template”. Then, when a new project begins, the template is used and Project Site is standard. The PM (who is given Full Control and the training to support it) can remove the objects they don’t need, and maybe change the Look & Feel and logo of the site to personalize it a little. In this day and age we still use email a lot. By making the SharePoint project site “reactive” and sending emails, it will drive people to it and help them to get used to using it. So create Alerts for new announcements, Issues changes, and of course Tasks. Note that some lists (like Tasks) have a built in setting to “Email when ownership is assigned or changed”. This, unlike an Alert, cannot be turned off by contributors. I like to create a custom SharePoint list of projects which includes unique project codes. Giving each project a short “handle” is very useful in general project communication and status reporting, as well as in SharePoint. For example, the project Always Be Chewing 12-3 may be coded as ABC123. That project code, ABC123, can be used as the URL for the project site, as a metadata lookup field to classify documents, as part of permission group name (ABC123 Members) or to associate timesheet records with this project. I usually include a URL field in the Project list, to capture the address of the project site or library, so this list can be used a shortcut as well as a status list. I hope these tips help you! Please comment below with ideas I have missed and elaborations for others. When I bought my Microsoft Surface Pro 3, I wanted it to replace my paper notebooks. I was hoping to take notes directly in OneNote. However, the Surface hasn’t turned out to be the ideal note taking tool for me (for a few reasons mentioned in the video below). So when I saw this Indiegogo campaign for the Rocketbook, a kind of high-tech notebook that “integrates” in an interesting way with OneNote and DropBox and Google Drive, I thought I’d try it. Is the Rocketbook the missing link I was looking for to take notes quickly and have them computer accessible? See the 6-minute video below. And here is the Rocketbook website if you’re interested in more: http://getrocketbook.com. 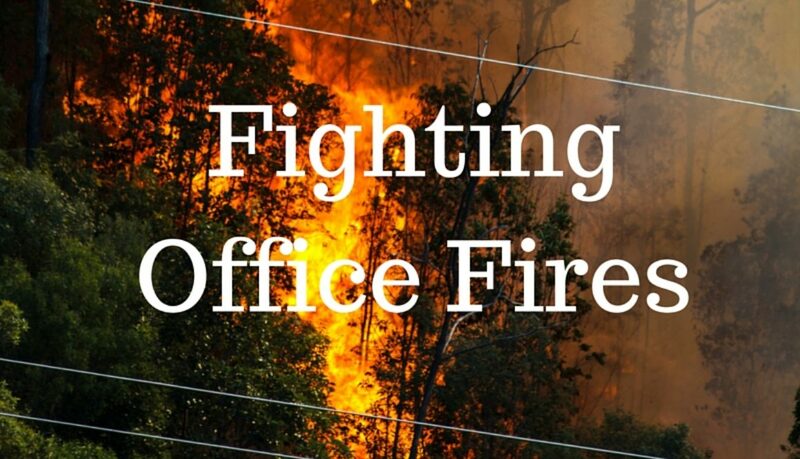 We’ve all seen a lot of “fighting fires” as opposed to practicing “good forestry”. I’m saying we tend to react rather than pro-act in our work and our lives. I may be ranting here, but why do people delay a 5 minute task, even though putting it off means it will take an hour later? Or the delay may cause 5 people to run around (later) for 20 minutes each? Or it may cause pain and embarrassment? For example, if I am scheduling a meeting with you, and I send an email with “these are the days I have available, what works for you?”. When you see that email it may take you a few minutes to check your calendar and get back to me. But if you take a week to get back to me, then the days I had available probably are no longer (available that is). The time spent so far was wasted and we have to start again. And if there were other people waiting for me to confirm…well there’s that ripple effect, isn’t there? So what just happened? Well, usually the slow or forgotten response in the above scenario is because people are run off their feet. And of course this little scenario can be applied of lots of different situations, but I believe the root cause is the same: we’re too busy to “get’er’done” and that busy-ness spills over to keep us too busy in the future as well. Being too busy today is causing us to be even busier tomorrow. This is what I mean by fighting fires versus practicing good forestry. That’s dig into that analogy. When a forest is burning, there’s no choice but to dive right in and work as long and as hard as it takes to get it under control. Take the risk, drop everything, grab a shovel and a hose, and get in there and fight that fire! However, couldn’t the fire have been prevented? So what if all your resources (people, money) are busy fighting fires in the neighboring forest? You don’t have the time to pay attention to the prevention. You have no time, money, or energy to be proactive. So it starts to spill over to one forest to the other. Because you’re busy fighting the fire in forest A, you don’t have the ability to prevent a possible fire in forest B. So just when you get the forest A fire under control, forest B bursts into flames and requires your immediate and urgent attention. And you don’t have time to take a proactive stance in forest C. It’s a cycle. Enough of the analogy. Let’s look back at my real world example. So how do we break the cycle? How do we get ahead of it so we’re practicing good forestry rather than just waiting for the fires to erupt and then pouncing on them? I think the first step is to recognize what’s happening. Being too busy today is causing us to be busy tomorrow. What we put off now, comes back bigger later. The trick is to carve out time for little bit of planning; a little bit of getting ahead of yourself; and a little bit more organization, and that will gradually free time for more planning and organization. Let’s look at the macro view for a second. I have taken courses and several read books on systemizing your business. Fascinating stuff, and one of my favorite topics. First and foundationally, we have to recognize the “tornado of day-to-day work”. Your staff have jobs to do, which takes all their time. 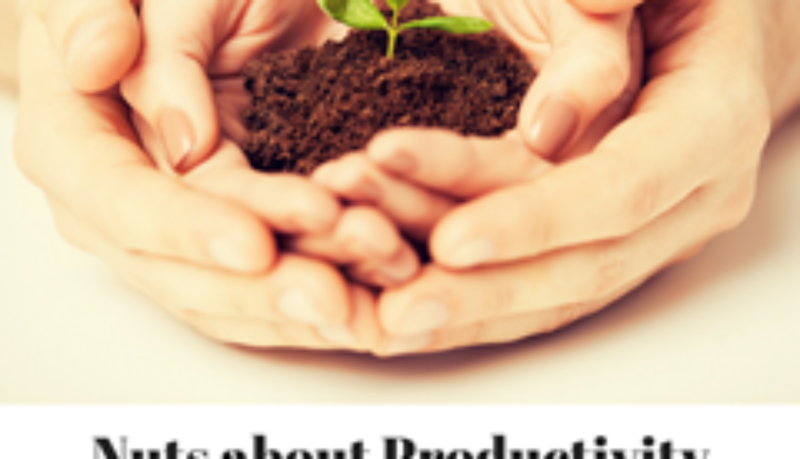 How do you deal with the fact that everybody’s busy, all day every day, working on the job? With no resources available to implement time-saving and error-reducing systems, you are destined to keep operating the same way you have always operated…or are you? I believe the same approach can apply to our personal productivity. Force yourself, ask for help, whatever you need to do to break the cycle of “busy because you are too busy to get ahead of it”. Think about how much more relaxed you will be knowing, you are on top of things. (Okay, USUALLY!) And think about how much happier I will be when I email you for a meeting and you immediately reply with a meeting invitation, confirming one of the dates I’ve requested? Done and dusted, as they say! Now your brain (and mine) can move on to more important things…like when did I last test my smoke alarms? 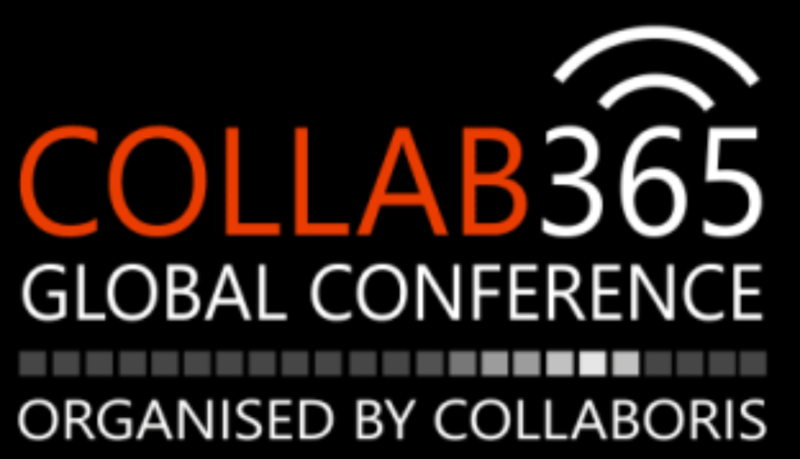 I recently presented at a really cool 24-hour online Office365/SharePoint conference called Collab365. There was tons of great content. You can create a SharePoint Team Site in 30 seconds, but is it useful? Do people use it? Is it maintainable? How does it get populated? 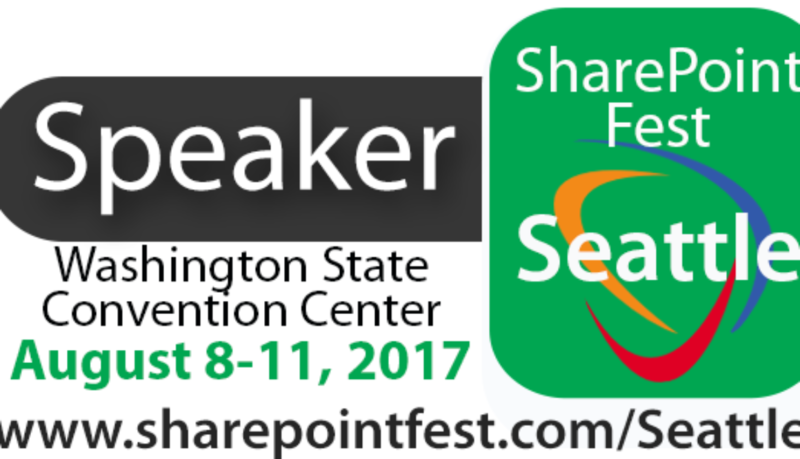 Join Gerry Brimacombe of Lightlever Systems as he entertain us with stories of building SharePoint portals. Gerry will present the challenges we all face and solutions he has developed through real world experience coupled with his unquenchable thirst for always making it a little better (or faster or easier). Gerry will present the processes he follows and show us the templates he has developed to design staff portals, migrate files, manage people change, and train users. How to engage a team to design a SharePoint Portal. How to design a manageable permissions structure, and implement it. Some useful templates for design and gaining shared understanding. Some “gotchas” for file migration, and workarounds we’ve found. A simple training approach that works. 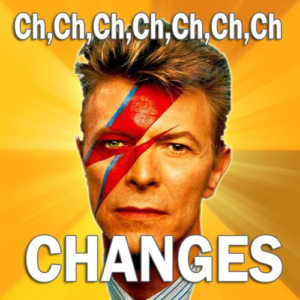 As David Bowie knows, change can be difficult. I was talking to a friend recently who is in the middle of moving. She was very stressed out. Granted, changing houses is a huge change. But I like moving and the possibilities it can bring. I also like – and even get excited by – change in general. So let’s face it. We’re all different. Some people embrace change and some people run away screaming, or at least grit their teeth and forge on. When I’m doing projects, for example a corporate intranet that affects every staff member, the change feels big for them. From my point of view, I see huge improvements and possibilities for increased efficiency. I get excited about how life can get better for these people. Not everyone sees it my way. Good people change management and good communication must prevail. I am not going to get into those details here, but focus on the human factor of change. We’re all different and as managers or developers we have to respect the challenges that different people face with the new system, boss, job, or house. I don’t know what you’re thinking or what you’re feeling, and sometimes you don’t even know why you feel what you do. (I know I don’t understand where a lot of my feelings come from). Let me tell a story to illustrate how different points of view and different ways of thinking can be challenging, and helpful. My stepmother was a schoolteacher, and she told some background on the two math teachers at my school. We’ll call them Mr. A and Mr. B.
Mr. A was brilliant; math always came easy to him. Mr. B was different. He struggled with math throughout school and really had to work at it. Who do you think was the better math teacher in grade 10? Mr. A saw every may problem with crystal clarity. To him the solution was obvious. He would lose patience quickly if we students didn’t understand the problem, and he didn’t always have the best way of explaining. Mr. B, however, had struggled with math, and figured out ways of figuring it out. He had to explain it to himself and somehow make sense. As a result, he had two great things going for him: 1. He had a bag of tricks of different ways to teach math – analogies, metaphors, shortcuts and long cuts; and 2. (most importantly) he had compassion for his students, because he knew what it was like to “not get it”. Most of the students preferred Mr. B to Mr. A, and learned more, even though Mr. A was smarter. As a somewhat technical person, it can be hard for me to understand when people aren’t “getting it”. As a consultant and project manager I always try to be more like Mr. B: patient, compassionate, and if someone doesn’t understand, I look for another way to explain it. They’re not stupid, we just haven’t found what clicks yet. This can actually be kind of fun. Especially when the lights come on in somebody eyes and you see that they really got it and they relax and start to accept the change as being good. Let’s try to keep the human difference in mind as we drive forward to the results of a successful system, a project completed on time, or a passing grade. Not only will it be more enjoyable for you and your team, you will get better results in the end.